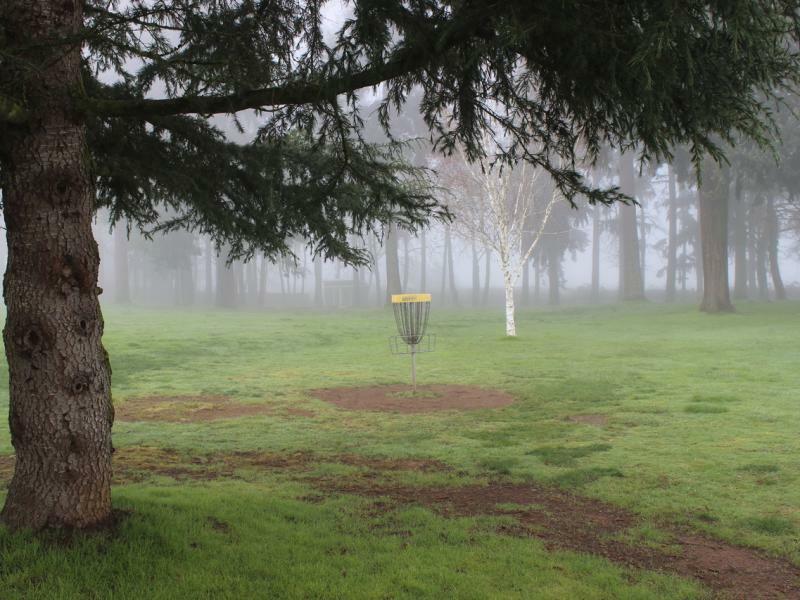 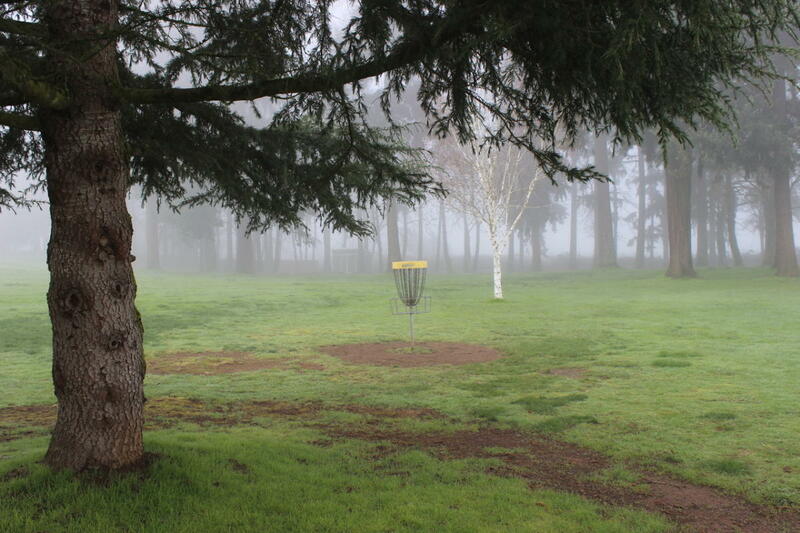 The disc golf course is open to the public, rain or shine, and is a standard 9-hole, par 3. 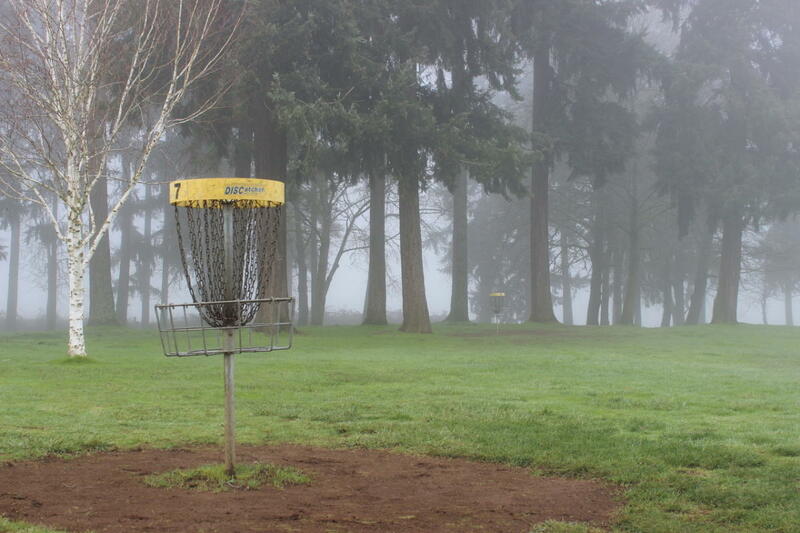 Bring your own discs and park toward the north end of the church's parking lot. 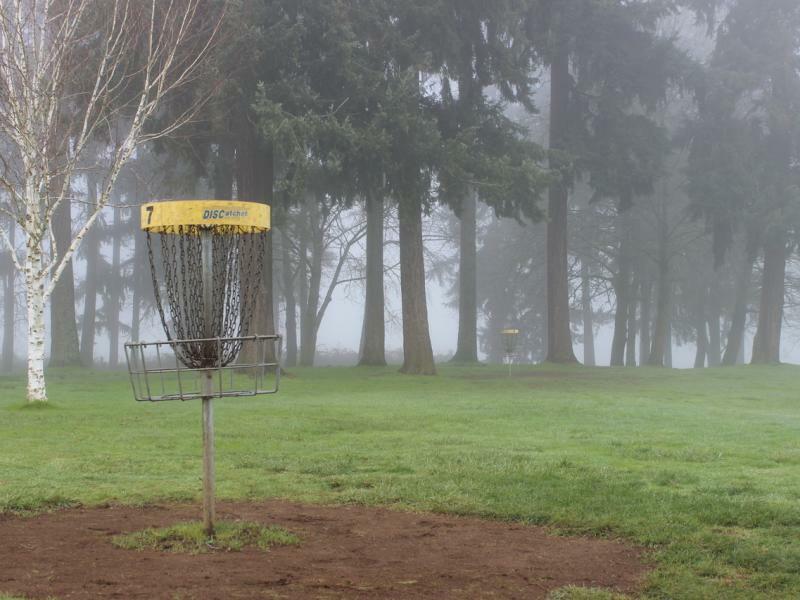 Tee #1 is directly north of the parking lot by the white-topped pole.